Comedian Saad Haroon is now the finalist for the Funniest Person in the World competition. So vote for him and support Pakistan. Comedian Saad Haroon has been making people laugh for over 10 years now, and he now stands on the cusp of achieving something truly great. 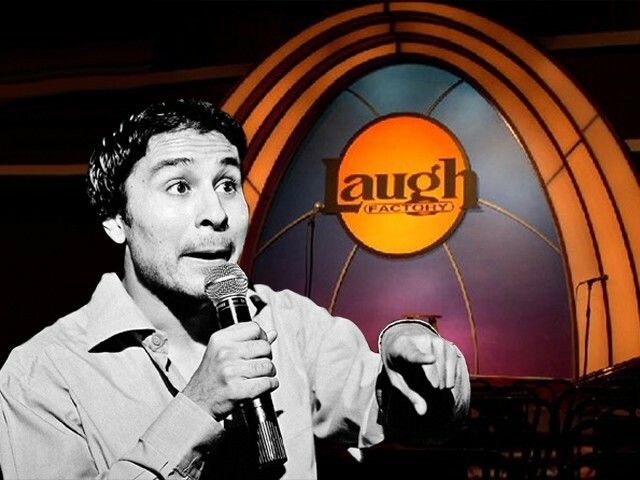 Saad is representing Pakistan in the finals of the inaugural ‘Funniest Person in the World’ competition and this weekend saw him perform in front of legendary comedians at Los Angeles’ ‘Laugh Factory’ – a venue that has hosted top performers such as Richard Pryor, Chris Rock and Robin Williams. It was wonderful to see Saad don a sherwani for his semi-final performance and to entertain an American audience with quips about biryani and the hospitality of Asian parents. Ahead of his possibly career-shaping performance in the final, I thought I’d speak to Saad about his journey so far. Saad’s come a long way since his first performance with the Blackfish troupe in the basement of a Zamzama cafe. During our conversation, he burst out in laughter on recollecting that the ticket for his first show was just Rs100! Since then, he’s formed a number of improvised comedy groups such as The Agency and Shark. But his first notable stand-up performance was at his sister’s birthday party in 2006-2007. At the time, he’d been writing comedy for a while and was coaxed into doing a short performance for guests in the garden. That was the first time people heard one of his best jokes about how filthy directions in Defence can get. Using great wordplay, Saad reveals how getting anywhere in Defence may need you to ‘go down on Shaheen’ and maybe ‘come up on Shahbaz’. 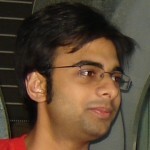 Saad has been alternating between the two comedy types before choosing to focus on stand-up. Explaining the reason for the choice, he said there is a different type of nasha (heady intoxication) in each. For improvised comedy, there’s an enjoyable camaraderie in making jokes with your friends on stage. In contrast, stand-up gives a performer a much greater high. That’s because an audience’s response is a wholly personal endorsement of your skills. It can also be more satisfying as it also gives you greater room to address topics that interest you. Since then, he’s performed around the world from Dubai, London and even Australia, which means that he’s had to change his routine to suit local tastes. For his five minutes Laugh Factory performance at the semi-final, Saad chose to retain references to Pakistan but to focus on universal themes like fathers, protests and how being a comedian is never considered a viable career choice. Even though the competition means that he’s been around the famous sites of Hollywood and Las Vegas, he’s had little time to do any sightseeing as he juggles the demands of the competition, interviews and his usual routine of performances. There has been some glamour though as he got to interact with hugely successful comedians such as Dane Cook and hung out with veteran performers. As our conversation moved towards his upcoming performance in the competition’s final, Saad made a very insightful comment. He mentioned that in the midst of all the doom and gloom about our country, it would be great to have an uncontroversial, happy piece of news about Pakistan. Saad states that stand-up allows a comedian to show a different, surprising side to everyday matters that people wouldn’t have noticed otherwise. And so while his goal is to entertain, his work also exposes a global audience (that is used to a distorted view of Pakistan) to interesting observations about our lives that are delivered in an endearing manner. The past few weeks have seen perplexing falsehoods about our country aired around the world in the form of Homeland’s new season. More depressingly, we’ve rightly been criticised in the international press too for vilifying rather than championing our record-breaking Nobel Prize winner. Amidst all the talk of conspiracies by external powers to demean us, it’s great that we now have a simple way to take charge and show our country in a more positive, realistic light. How many times have you sighed on seeing a prejudiced view of our country and hoped for a simple opportunity to tackle the discrimination that comes with our identity? If you can relate to that feeling of being misunderstood, all you need to do is to wake up this Sunday afternoon, October 26th, watch his final performance and, if you think he’s the best, just make a simple click to help change our country’s image. Twitter has been buzzing with expressions of support for Saad and now it’s up to all of us to help him on the next step of his journey.